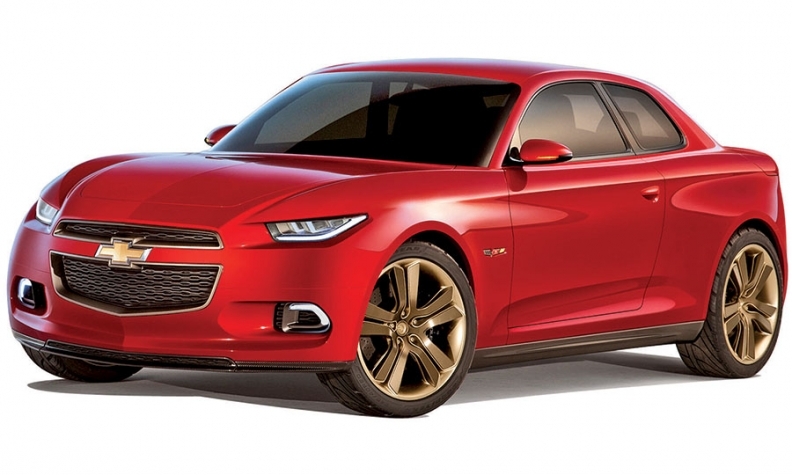 Chevy's Code 130R concept coupe sparked speculation about a small performance car. DETROIT -- Gearheads with money to burn have many choices in a Chevrolet showroom, from the Corvette Stingray to the SS large sedan to the Camaro muscle car, slated for a redesign this year. But what about buyers who want a zippy small car in the mid-$20,000s? Even as Chevy polishes its performance bona fides at the top of its lineup, the brand has been missing from the recent influx of pocket rockets to the market. The forthcoming Volkswagen Golf R, Ford Focus RS and Honda Civic Type R soon will join the Ford Fiesta ST, Hyundai Veloster, Scion FR-S and sibling Subaru BRZ in U.S. showrooms. Ask General Motors product chief Mark Reuss about the lack of an affordable small performance entry for Chevy, and you get the sense he's conflicted about it. "I love those things. We know how to do them really well," Reuss said in an interview last month, adding that he often fields the same question from customers and GM employees. Chevy sparked speculation that it had a pocket rocket up its sleeve when it showed the Code 130R concept coupe at the 2012 Detroit auto show. The rear-wheel-drive car was quickly labeled a future baby Camaro, but production plans never materialized. Today, the sportiest small car in Chevy's lineup is the Sonic RS, essentially a cosmetic package with a more finely tuned suspension that generates 138 hp, the same as on a base Sonic. Meanwhile, rivals are loading up on the ponies: The Golf R has a 2.0-liter turbo that turns out 292 hp. For now, there isn't a business case for a go-fast small car, Reuss says. He points to the small sales volumes that tend to fall off soon after launch. "Capital is not a black hole," Reuss said. "On those cars, the price point begins to approach the segment of the next car up. We would spend a lot of money and resources, and what are we really doing?" For example, U.S. sales of the Scion FR-S coupe, introduced in 2012, dropped 29 percent this year through April, to 3,471. AutoPacific Inc. analyst Dave Sullivan agrees that the added cost and complexity of offering a bigger engine and probably a manual transmission in a high-performance version of, say, the Sonic subcompact or Cruze compact, is prohibitive. Still, Chevy is better positioned for a pocket rocket than it was five years ago, now that it's making credible small cars. "GM has stuff they could tap if they wanted to," Sullivan said, noting that GM's Opel division has the Astra OPC, a compact with a 2.0-liter engine rated at 276 hp. For now, Reuss says Chevy is content to offer enthusiasts a widening array of accessories to boost performance on their small cars without spending thousands more. Chevy recently introduced a $995 performance stage kit and exhaust package for the Sonic that modestly boosts horsepower and torque. But Reuss won't rule out a production pocket rocket down the road. "The real question is: Is that a big priority? For now, no," he said. "Forever? I wouldn't say that."